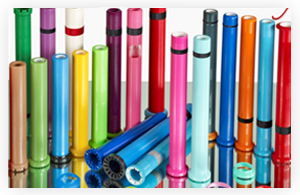 Simplex Rubbing Frame Bobbins : Quality Policy : Moksha Thermoplastics Pvt. 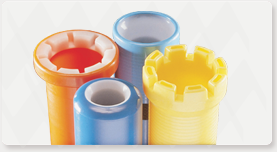 Ltd.
Special Delrin - POM – Polyacetal inserts at top and bottom. 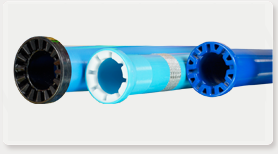 bottom and M 88 Combination polymer depending on End use. 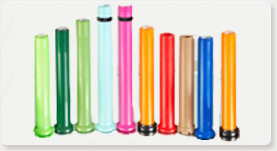 Rigorous Steam - Conditioning Perforated & Non - per forated Tubes, Cones & Cheeses upto 140°C.